Escape the chaos of a crowded commute, or maintain your focus during a long study session with active noise cancelling. These headphones reproduce the iconic JBL sound, punching out deep and powerful bass. Block out the rest of the world with active noise cancelling and enjoy your music in peace. Listen wirelessly for 12 hours with active noise cancelling and quickly recharge your battery in 2 hours. Use the three-button remote with mic on your headphones to easily control sound and manage calls. 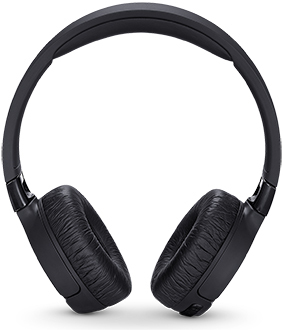 Made from lightweight materials, these headphones will be comfortable on your ears all day. A rugged construction ensures your headphones will fold and unfold perfectly every time you use them.